MSS, Inc. announces new headquarters | MSS, Inc.
MSS, Inc., the optical sorting division of CP Group, is proud to announce that their manufacturing facility has relocated to a larger building. The new MSS headquarters is located in a multi-facility site development at 300 Oceanside Drive, Nashville, TN, less than four miles from their previous office. The new facility provides MSS with a dedicated testing and demonstration area, where potential customers are able to see the newest MSS equipment in action. The new space offers several other advantages, such as larger warehousing for parts storage and dock configurations that allow for overhead crane use. 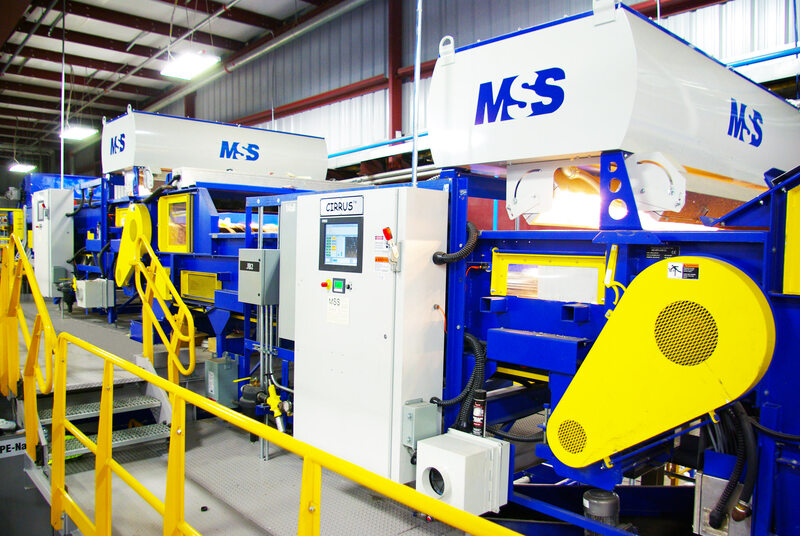 MSS, Inc. was founded in 1974, and over the past four decades they have continued to refine their optical sorting technologies. The latest high-resolution sensors include the CIRRUS™ for near infrared material sorting, the L-VIS™ for color and shape separation, and the MetalSort™ for separating metals.